Supporting Students – and an Announcement! 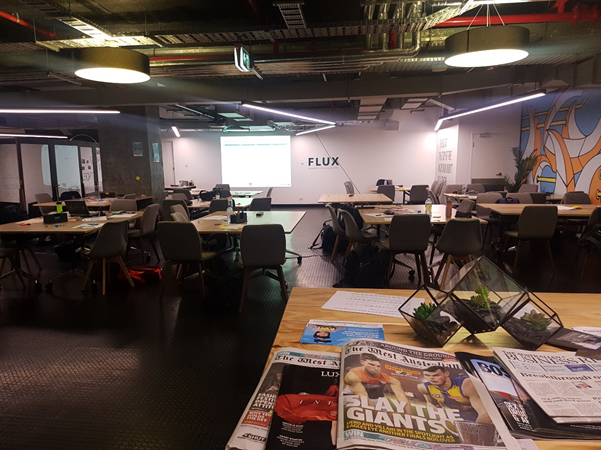 A couple of weeks back, I was in the basement of Flux, a co-working space in Perth, being a mentor for a hackathon being held by high school students from St. Stephen’s School. The event was for the school’s business program and over the two days it took the year 10 students through the process of coming up with a business idea, testing it and developing it into a full pitch presentation at the end of the event. The themes were along the areas of recycling, sustainable transport and sustainability generally. My role as a mentor was to wander about and be there if the students needed to ask some questions or to get some perspective on their ideas. It was quite interesting to see how the students managed this, and the levels of energy and enthusiasm they had. It speaks volumes about the school and Flux for supporting this type of event – and one of the students even said that the prize they’d like is another month of doing these sorts of events! 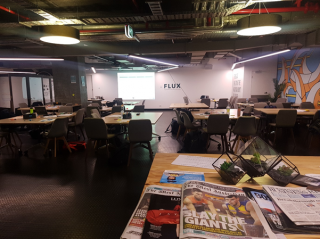 One of the reasons I was asked to participate is that we are moving Gaia Resources’ Perth office into Flux in November, and it will be our home for the foreseeable future. Most people think that co-working spaces are for startups, and wonder why a 14 year old business would move into that space. For us, it was time to move from our aging digs in Leederville into something new, and after a lot of internal discussions the co-working space was the way our team in Perth wanted to work, and the location of the city was also very attractive. However, the real clincher was money – moving to Flux represents a significant (5- figure) saving on our operational costs. The move is only a few weeks away – it’s going to be a relatively simple move (apart from getting rid of 14 years of accumulated junk! ), but after a couple of days working in the Flux space, I can’t wait to move in. Thanks Mike! It’s going to be a big change but it’s already been really good for us.